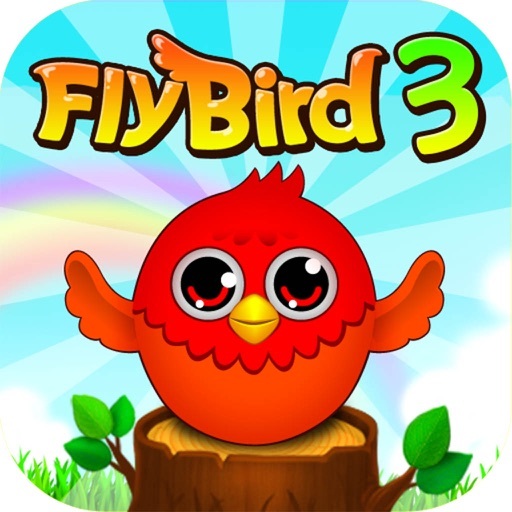 Fly Bird 3.0 - HD by Blueonionsoft, Corp. In the orchard with little cute pigs, crabby birds are stealing the foods of the pigs! 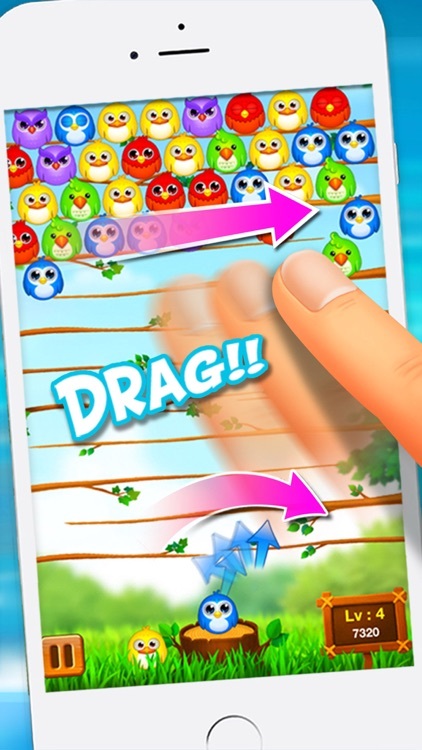 Send away crabby birds before they fully occupy the branches! 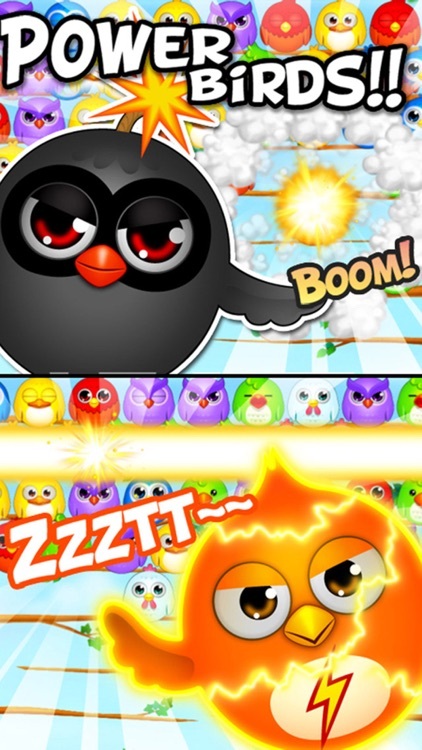 Featuring various special effects and fabulous fun items are waiting for you in Fly Bird! Double the fun with your friends! 1. Classic Mode: please drive out the birds on the branches. 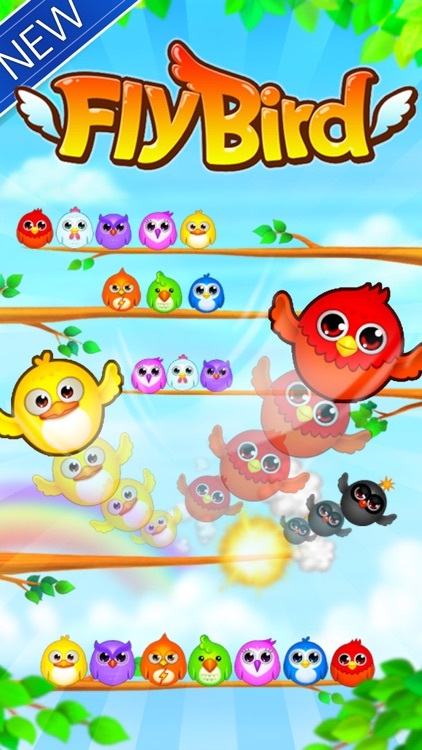 The same type of crabby birds can be driven away when paired with 4. 2. Battle Mode: Our unique feature with best fun! 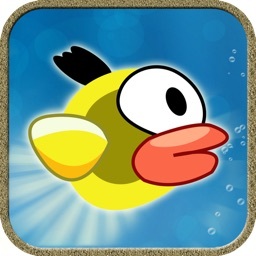 : Now check newly added world best puzzle game Brix Flood in Fly Bird 3!! You can meet New Uprgrade version of Brix Flood Now. : Combine 6 different colored small boxes into one color whole box to complete the game! 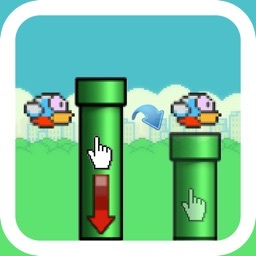 : Be fast and keep the numbers of moves low in order to achieve high score! - If you've become familiar with gameplay in Classic mode, you can battle with your friends and crank up the battle mode. 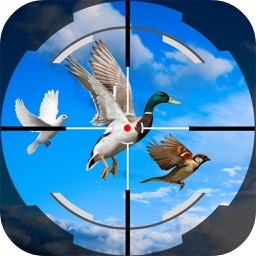 You can play battle mode together with iPhone, iPod or iPad users. 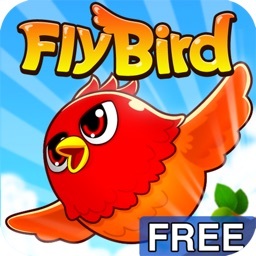 How to enjoy even more in Fly Bird? 1. Find all sorts of hidden items. Fun items like explosive bomb and phoenix can be used. 2. 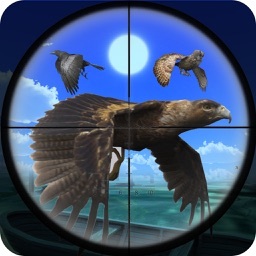 In the Battle mode with a friend, send away as many birds you can to your friend's orchard. 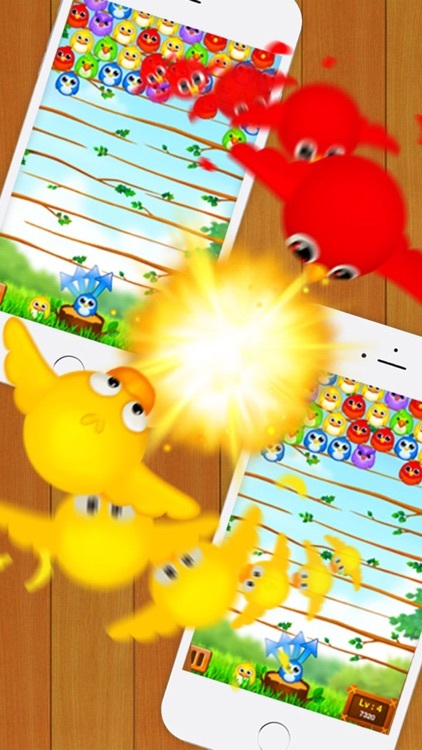 Bombard your friend's orchard with lots of crabby birds to annoy your friend as you battle!!! This application will work normally in the iOS 3.0 or later. Please upgrade the iOS to the latest version. If you purchase the full version and then when it asks to make a purchase dont worry to press ok again to make the confirmation without paying twice again. If there is still error loading then kindly delete the app and install again.